To celebrate the launch of modern.IE, we partnered with Internet Explorer to design an IE-themed cupcake food truck. 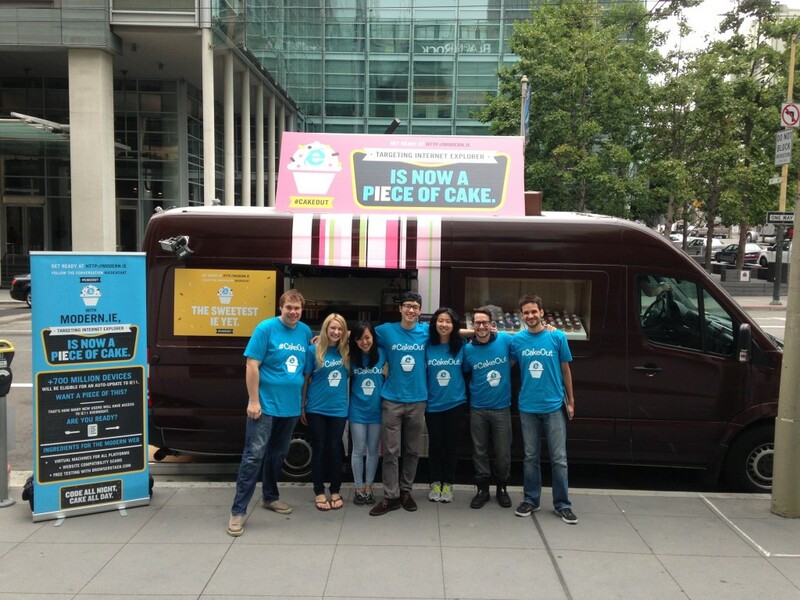 The truck visited developers in the San Francisco area to help spread the message that testing for IE is now a piece of cake. From the napkins to the signage, we’d say the results were pretty sweet. 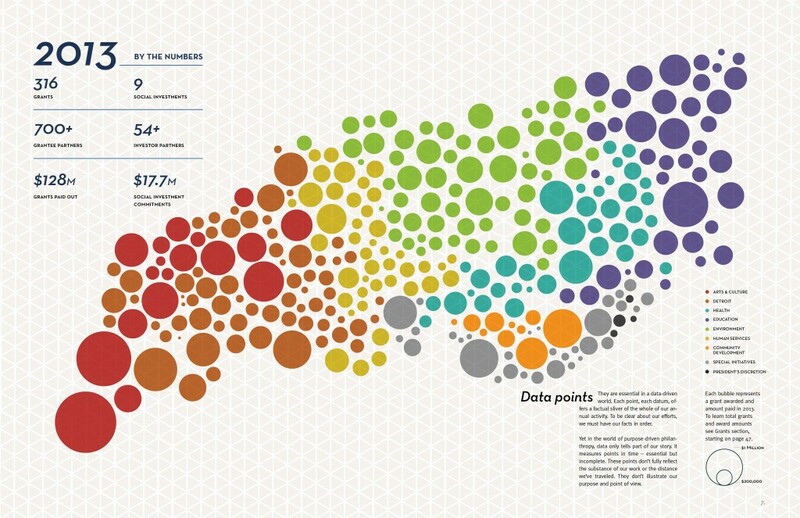 We partnered with The Kresge Foundation to help visualize their 2013 annual report. To help illustrate the big picture, we mapped the inner workings of six major efforts the organization undertakes, detailing the programs, tools, partners and funds that power them. It’s easy to get carried away in a brainstorm meeting, but not every content marketing idea will get you the results you want. We created this infographic to remind us when to reel it in and stay on track. 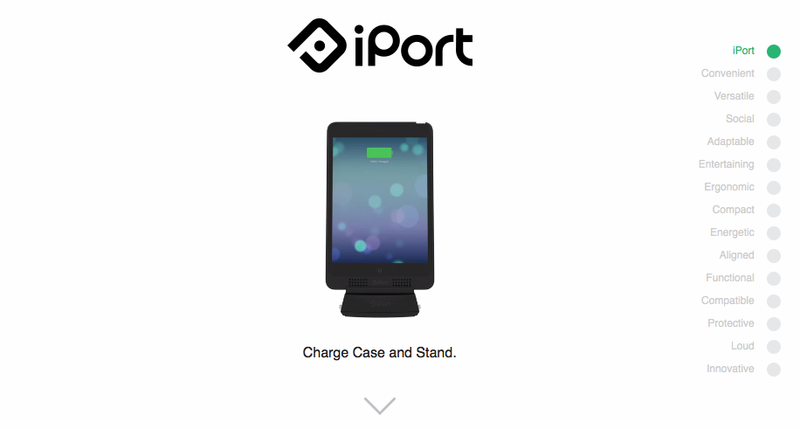 The iPort is both a charge case and stand for your iPad or iPad Mini. (And it’s super cool because it uses the magic of magnets to hold everything in place). We created the interactive product orientation, featuring simple animation and clean iconography, to help customers see the iPort in action. With more and more social platforms popping up, social media managers are busier than ever. We partnered with Socialcast to visualize what a day in the life of a social media manager looks like (#exhausting).